Looking for a check list of what to do? Check out our Financial Farmer cheat sheet. 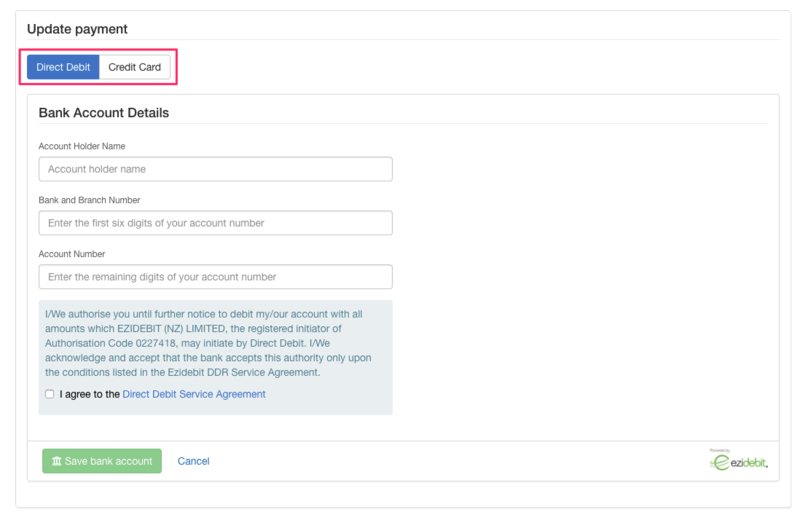 You'll need to nominate a default bank account for your farm which will allow you to raise invoices from Figured to Xero. Your bank accounts on Figured also make up the opening and closing bank account balances on financial reports. A production tracker on Figured is used to track any production that may need to be tracked on your farm - if you're a dairy farmer you'll need a dairy cattle tracker, and a milk tracker. Whereas if you're a sheep and beef farmer, then you'll need a beef cattle tracker, sheep tracker, and a corresponding wool tracker. You can add a production tracker while in the production tab by using New operation tracker in the top right. 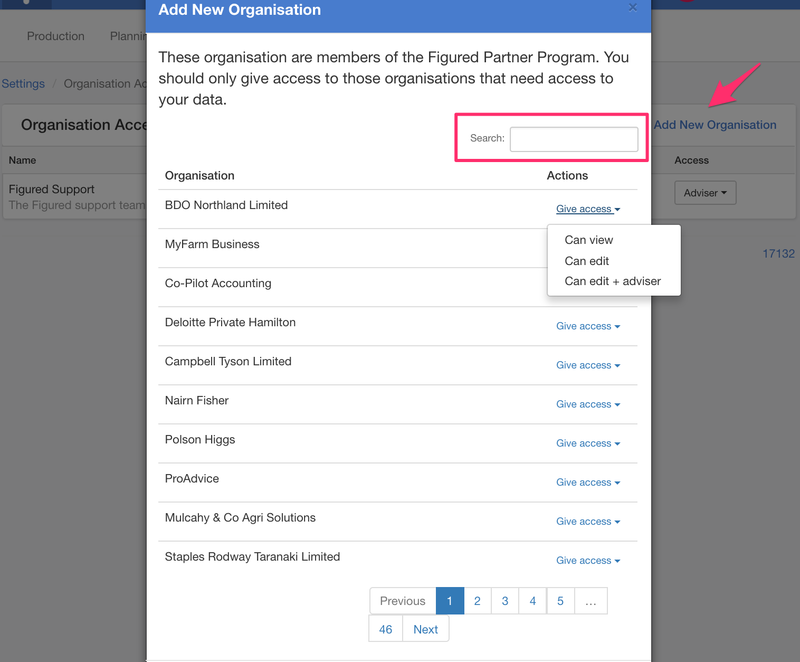 From there you'll select a tracker type, give it a name, and set your preferred account mapping. 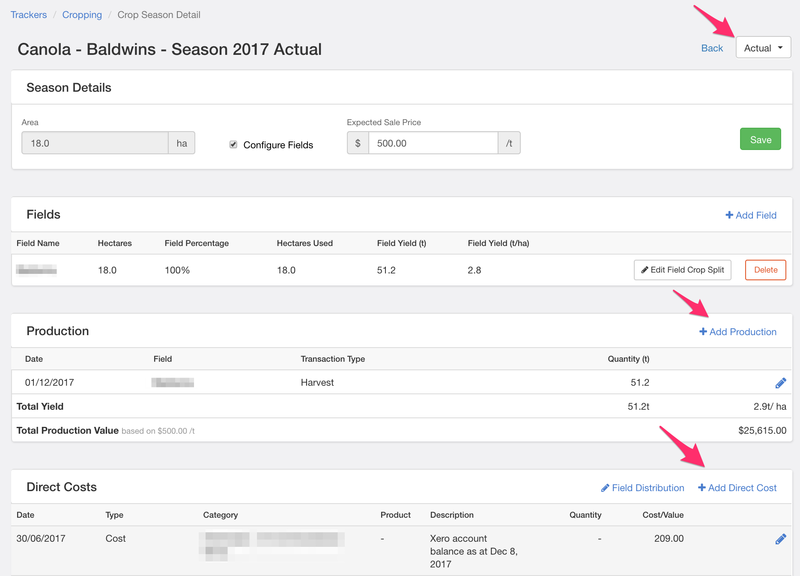 NOTE: In the case of non-cropping / dairy trackers, "single" purchase and sale accounts means you will have one sales and one purchase account for all stock classes. "Individual" purchase and sale accounts means you will need one for each stock class. Set your standard payment terms which will determine the default cash / accrual dates for any transactions, configure stock weights if you prefer otherwise keep the defaults, map your accounts, and enter opening livestock quantities. REMEMBER: Disable any unused stock classes using Manage enabled stock classes. Your opening quantities will generally be your previous years opening balance. Check out our in-depth articles on the help centre that explain in more detail how to create and setup production trackers on Figured - livestock, milk, wool, and cropping. Unless your farm is brand new, you've probably got a couple years of production data available. This is also where you can utilise your trading statements if you've got those on hand. For livestock and wool, you can use our stock balancer tool to quickly enter historical livestock movements (births, deaths, sales, and so on). Stock balancer can be accessed from any livestock tracker under Tools > Stock Balancer. Once in there, you'll just need to click on a transaction type under each stock class and enter the movements that have occurred in the previous years. If your Xero has any values sitting under the sales & purchase account(s), Figured will let you know the difference to help you out with your comparative data. If you have a milk tracker, or a cropping tracker, you'll just need to head into the previous financial year and enter the production data accordingly. 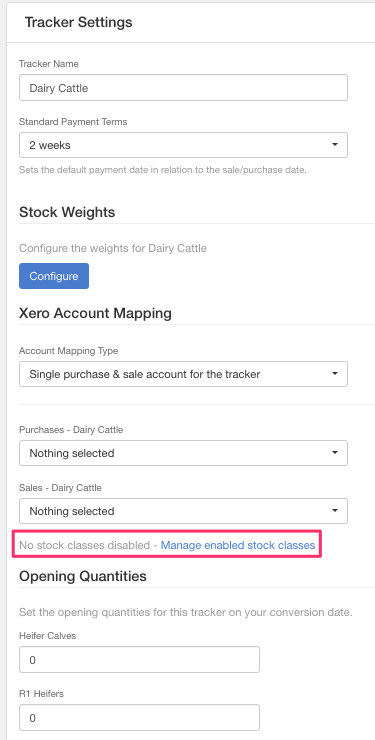 In your milk tracker, the dollar values are automatically pulled in from Xero - the only thing you need to enter is the milk price (if it differs from the company milk prices) and the production kgMS. In your cropping tracker if you wish to enter anything related to production, you can do it from the main screen using + Add Transaction. For direct costs, you'll need to head into Crop Season Detail instead. NOTE: Just like your livestock and wool trackers, if your cropping tracker is unreconciled Figured will let you know the differences to help you enter that historical data. With your production trackers setup and configured for use, your next step is to build out your production budget. Just like when building out your comparative actual data - you'll use the same methods to built out a production budget. For livestock / wool trackers, you'll use the Re-forecaster tool to quickly build out any budgets you may have. 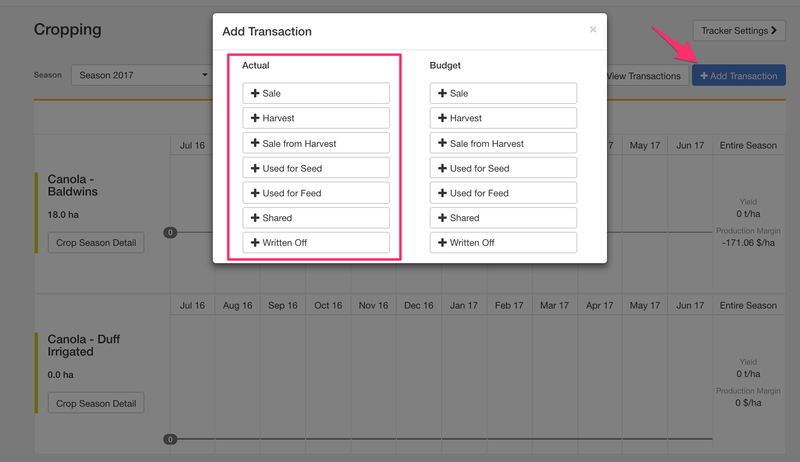 For cropping trackers, you'll just the Crop Season Detail to add in your budgeted transactions, or you can choose to enter these from the main crop dashboard using + Add Transaction. 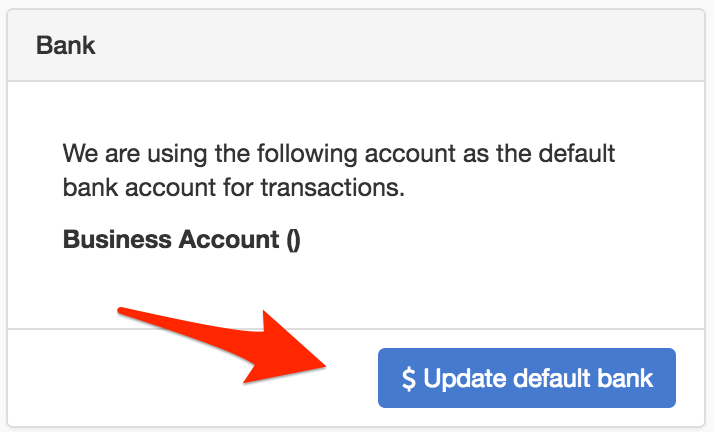 You can switch to budget using the dropdown provided. 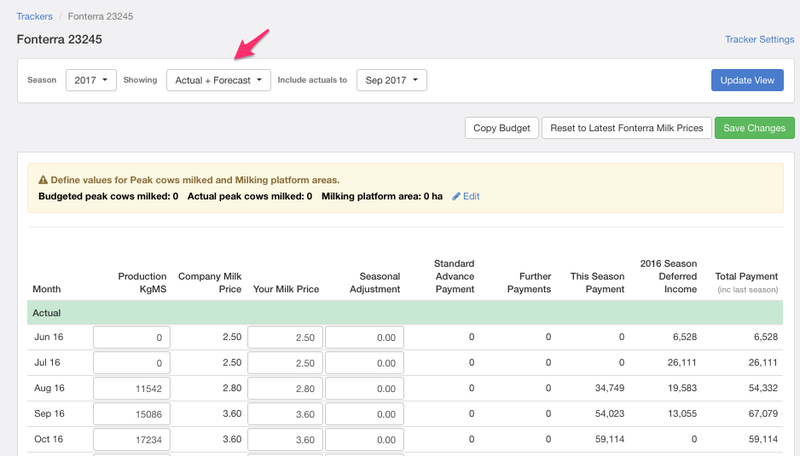 For your milk tracker, you'll just need to head into your budgets using the dropdown and update your milk prices & production accordingly. REMEMBER: Your budget must be unlocked in order for you to edit it. You can lock / unlock your budget anytime in the planning tab. 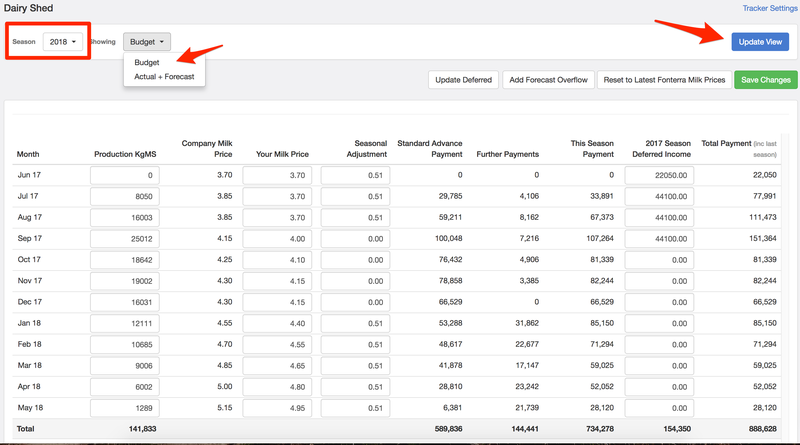 Once your production trackers have their historical (comparative) data in, you'll need to head into your valuation settings which can be found in the adviser tab. Each tracker will have its own settings and they will all need a unique set of accounts (value on hand, valuation movement, and revaluation reserve where applicable) for valuing them. Map up your accounts, choose your selected valuation scheme, and update the NSC custom groups (if you're in NZ and use NSC as a valuation scheme). Once done you can hit save. 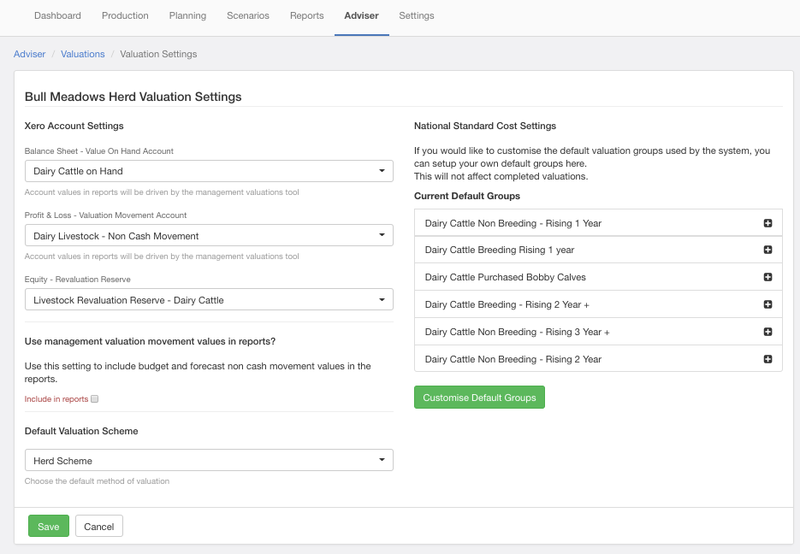 After you've configured your production trackers' valuation settings, you can move onto valuing your previous years livestock (which is why in Step 4 you entered that comparative data). 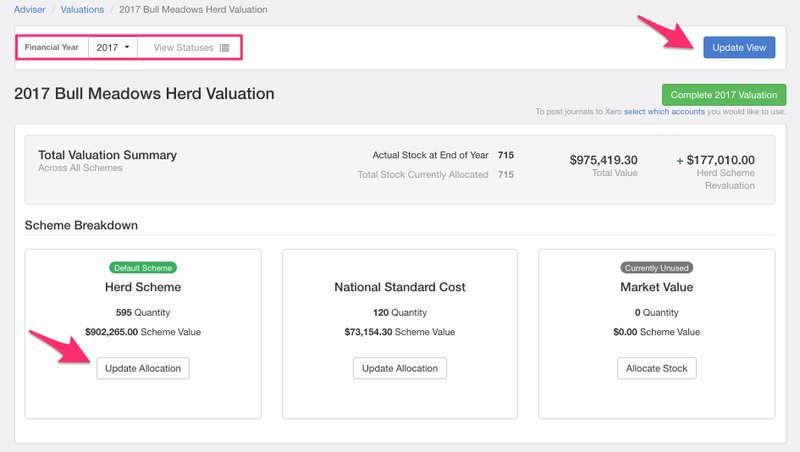 Head into your valuations under the adviser tab, and select End of Year Valuation. Change the financial year to the previous year, and select Update View. You'll then be able to click into each valuation scheme and update allocation where applicable. You can use your trading statements to make this part easier and copy across what has already been done. Once done, you can hit the green button that says Complete Valuation. Your comparative production has now been valued - and you're ready for when end of year valuations come around this year! 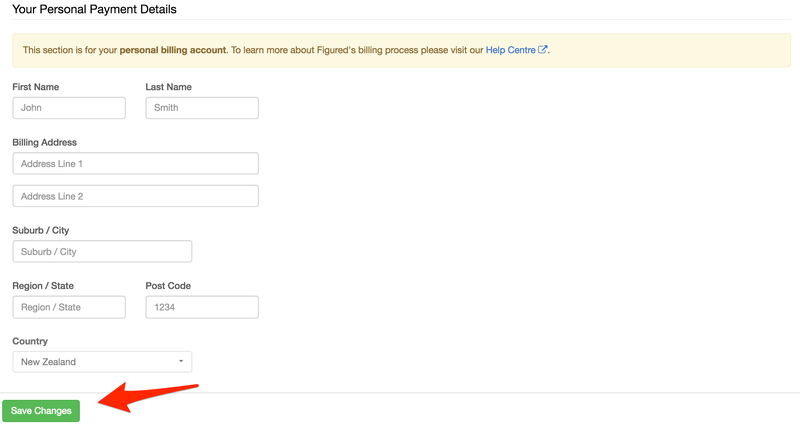 In here, you'll be able to categorise your accounts to a range of category options that align up with the account type (i.e. 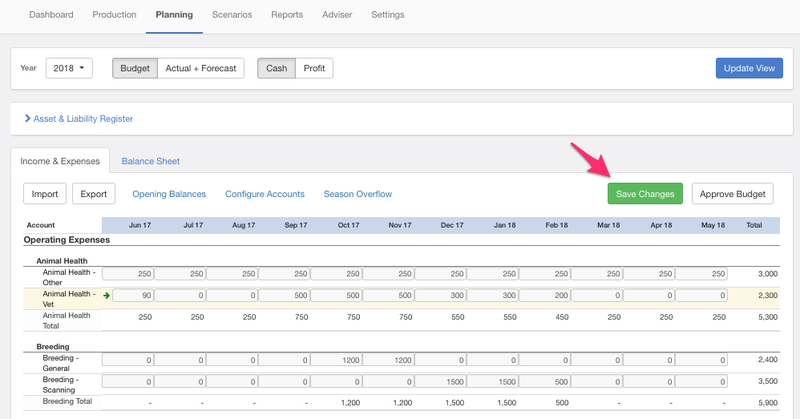 revenue accounts have a pool of revenue categories), you're also able to categorise an account to your production trackers which will be useful when generating trading statements. Finally you'll head into Season Overflow which is where you will overflow any budgeted / forecasted transactions that have their cash date fall in the first month of your new financial year. This is typically only used for when your budget is established already, but can be used for livestock. NOTE: If you wish to overflow milk payments ("May paid June"), you would do this in the milk tracker. With all the setup of your budgeting done - you can now move onto getting it all filled out. 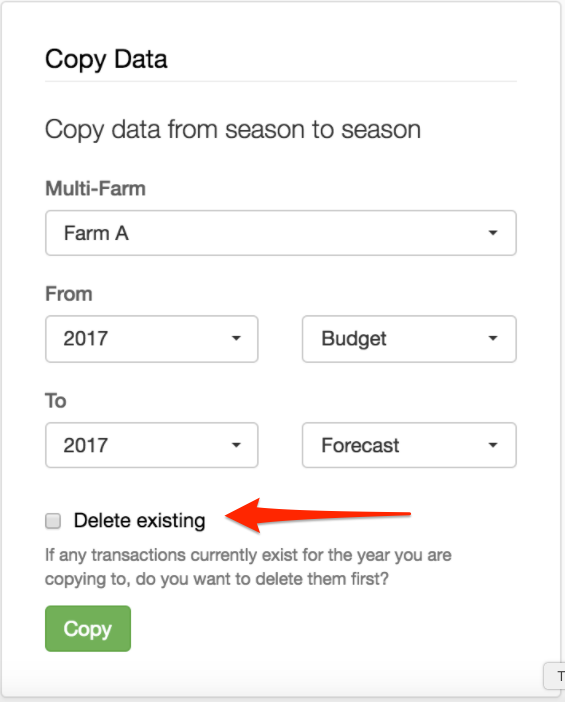 You've already created your production tracker budgets - what you'll be doing now is entering your other farm expenses / income budgets. REMEMBER: All production related accounts are not able to be edited in the planning tab, these must be updated in the trackers themselves. When you make a change to an account, Figured will highlight the row yellow for you. Once you're done there, you can hit Save Changes and then Approve Budget which will lock your budget and prevent it from being edited. 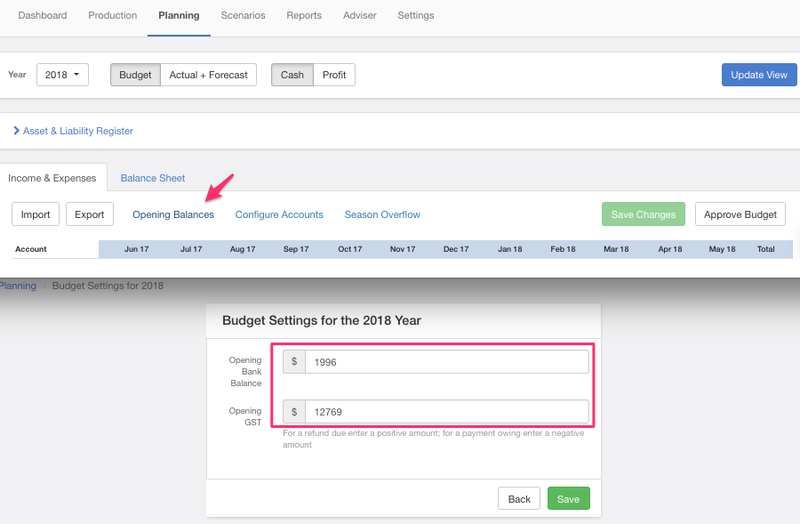 REMEMBER: You must copy your budgets to forecasts in all production trackers, as well as in your planning tab itself. 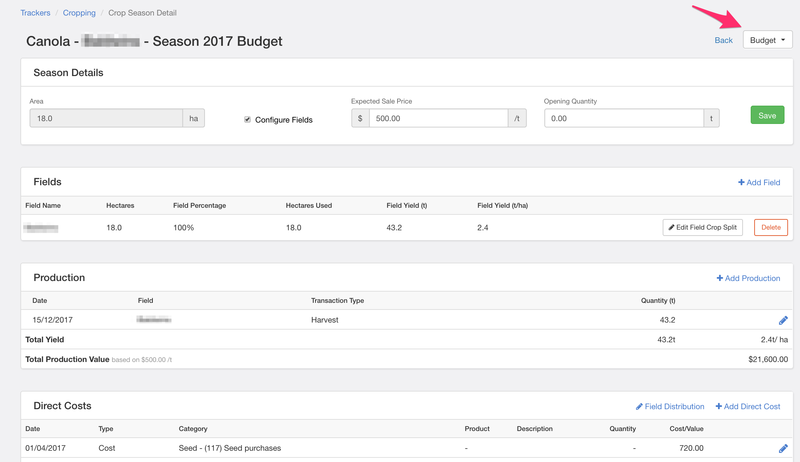 In each of your production trackers you will need to copy your budgets to the forecasts, much the same as in your planning tab itself. Once you've finished that, your forecasts will be entirely fleshed out and a copy of your budget - and you're all set to start re-forecasting later on! 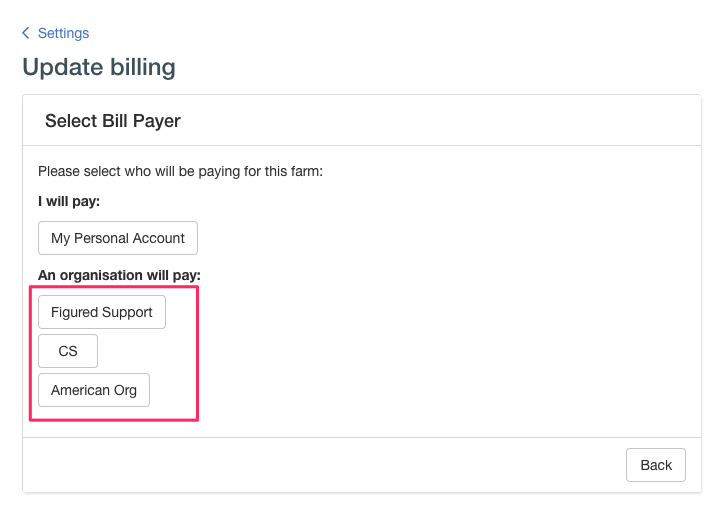 If you are a farmer, or you are personally taking on the billing, you will first need to update your personal billing details which is available under Profile (bottom left) > Billing & Subscriptions. You can dive in and generate some reports, harvest some wheat, record some heifer sales, or re-forecast for the weather - if you need a hand, drop the team a message via the green bubble anytime.